This section of the website is the product of an introductory class in "Shinto and International Exchange" (神道と国際交流 Shintō to Kokusai Kōryū) that I taught during the April 2007-January 2008 school year. The first semester of the course was a "directed readings" class in which we read and translated short passages about Japanese religion and culture from books and articles written in English. The second semester was divided into two parts: first, an introduction to website design and basic HTML coding, using only a basic text editor without the benefit of WYSIWYG website design software; second, an "applied" section in which students used the HTML coding they had learned to actually construct simple individual web pages where they published brief passages and photographs regarding some aspect of Shinto or Japanese culture in English. 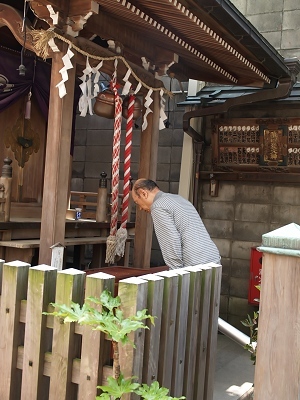 This exercise was meant to have a practical application: many graduates of the Department of Shinto Studies go on to serve in Shinto shrines throughout Japan, and on occasion are asked to assist in the construction of English-language websites for the shrines where they serve. Rather than depending on the "black box" of WYSIWYG website authoring programs, I wanted them to understand a few of the basics of actual HTML coding. I would like to note that as part of the process of teaching the class, I utilized the tutorial series Writing HTML published online by the Maricopa Center for Learning and Instruction. Unfortunately, the initial series was only partially translated into Japanese, and later disappeared from the original site, with the result that the lingering archived parts appear now to be available only on the Internet Wayback Machine of archives. In addition, those tutorial files that remain available require quite a bit of correction to make them usable by students today; I also translated a few additional pages where necessary. I would like to express my appreciation to the Maricopa Center for Learning and Instruction for the materials, but hope they would update them if possible. I titled the page as I did in order to emphasize the "personal" side of this religious tradition. Although Shinto is often described as Japan's indigenous religion in ways that suggest a monolithic and determinate content, in fact the very definition of Shinto is widely contested, with scholars and adherents arguing from narrow definitions limited to modern Shinto, to broad definitions in which Shinto encompasses the entirety of Japanese culture. 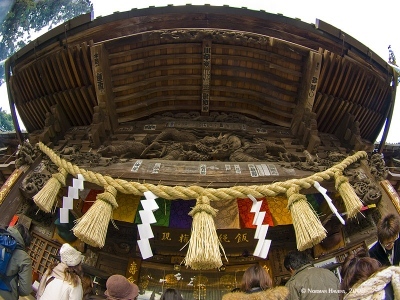 For an "indigenous" religion, modern Shinto continues to demonstrate numerous and pervasive foreign elements as well, originating in countries ranging from the Indian subcontinent to China and Korea.